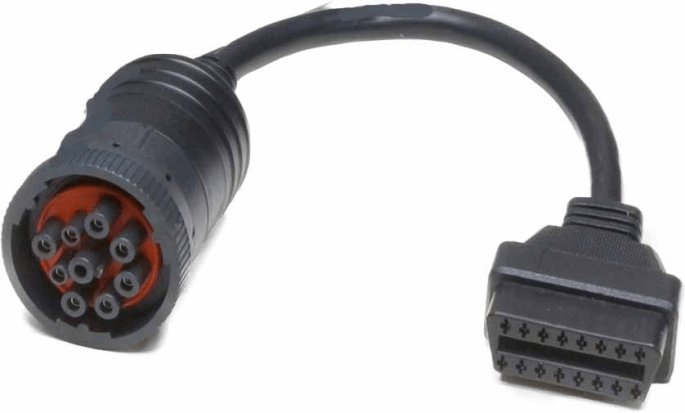 Connect the device using an OBD to J1939 adapter cable. 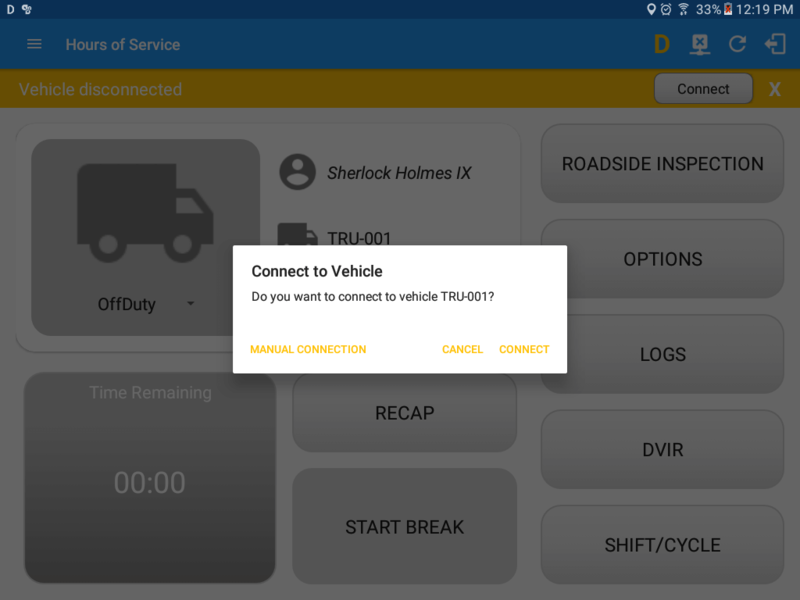 On the main dashboard, tap the ‘Connect’ button which is located below the app header to display the ‘Connect to Vehicle’ dialog. 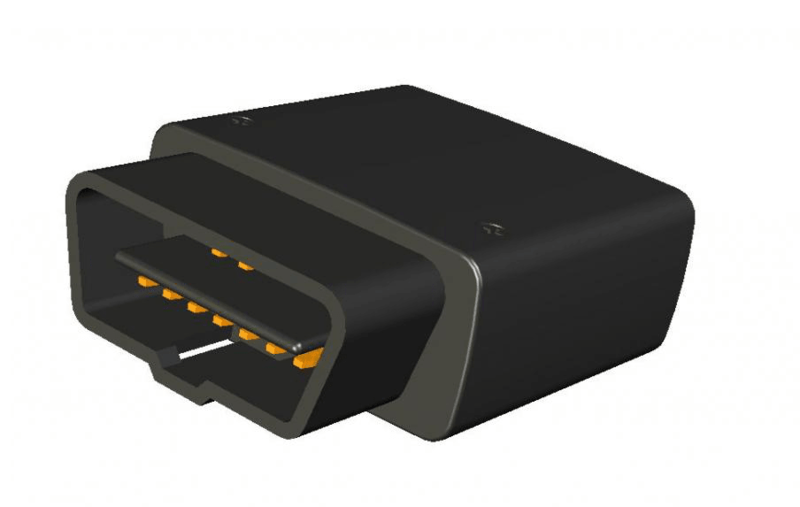 Tap on the ‘Manual Connection‘ button. 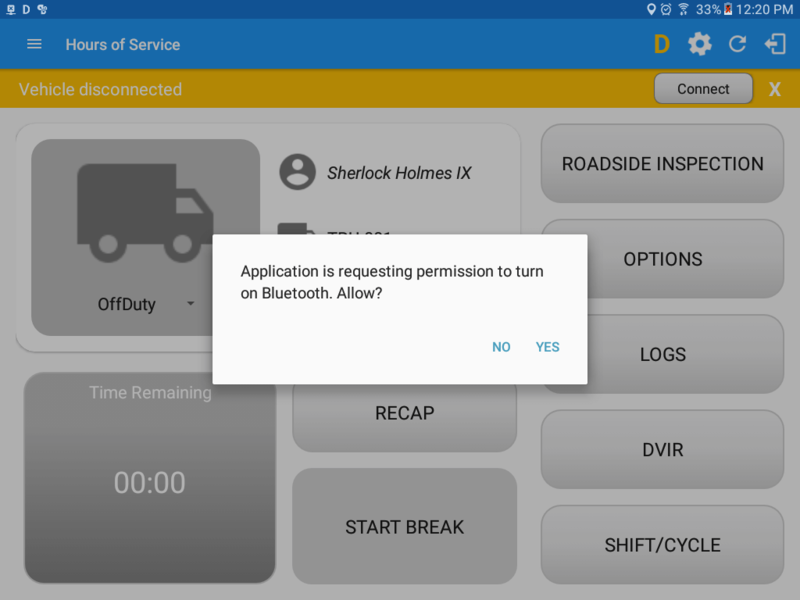 ► If the Bluetooth of the device is disabled, the ‘Bluetooth Permission Request’ dialog will be displayed. 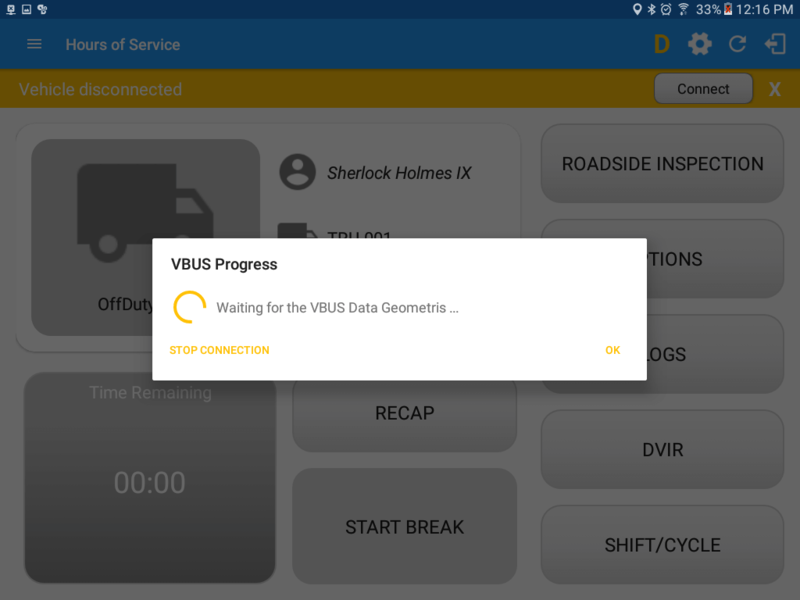 It will then display the VBUS Progress dialog upon establishing a connection to the selected VBUS device along with a ‘Stop Connection’ and ‘Ok’ buttons. 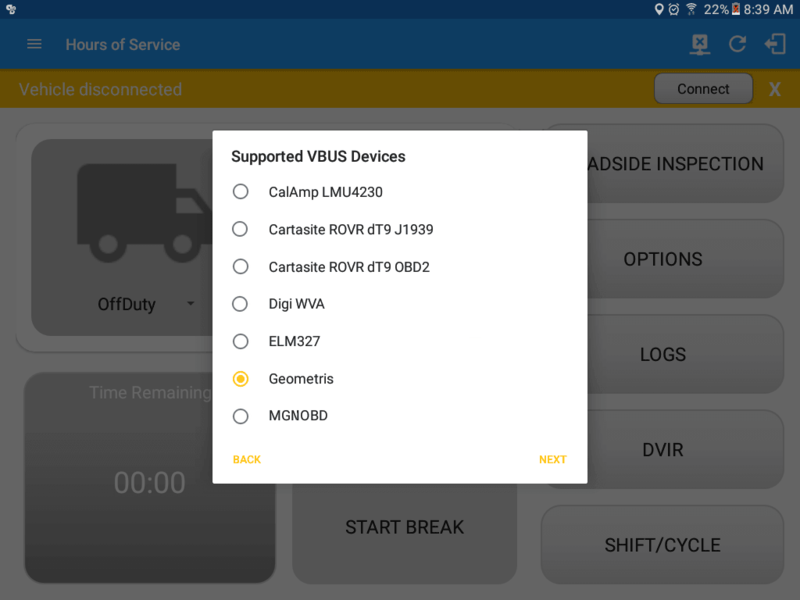 Tap ‘Stop Connection’ button to stop establishing VBUS connection. 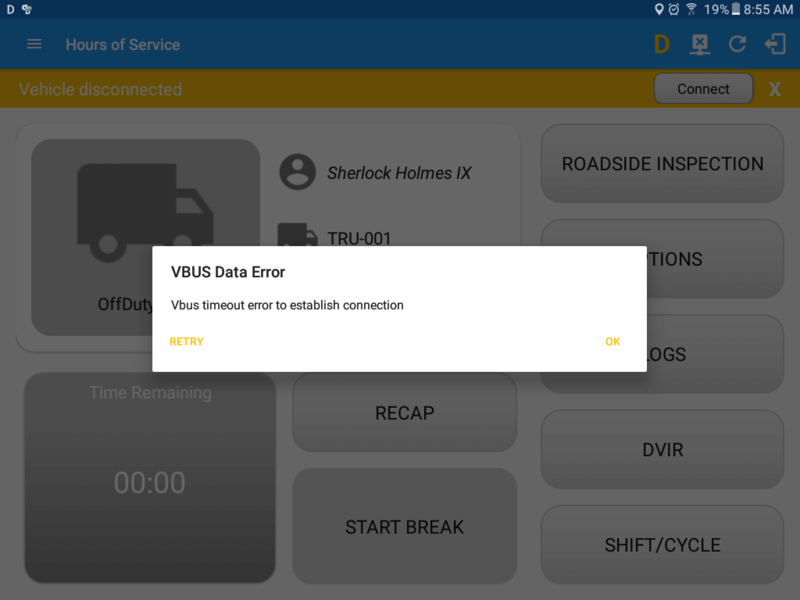 Note: The app will automatically disconnect from the device after attempting to connect for 1 minute and 30 seconds without receiving any data from the VBUS device. 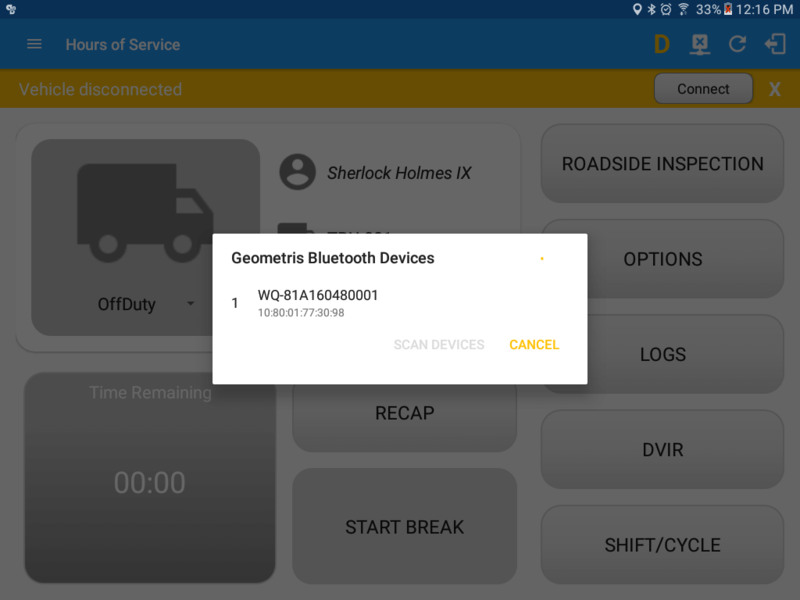 Upon establishing a connection to the VBUS device you should hear a tone letting you know that device is now connected. 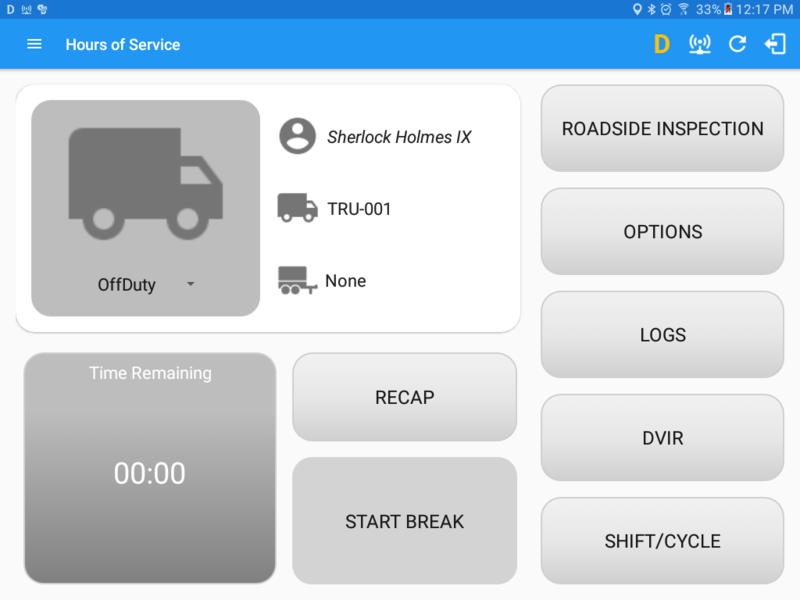 To check if you are connected, navigate to the Main Dashboard and the VBUS status indicator should be displayed as “Connected” which is located on the app header. 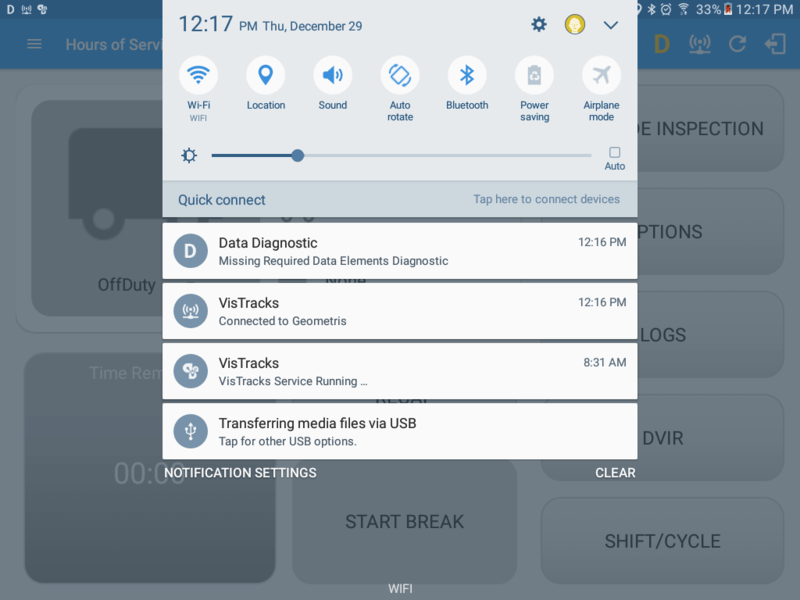 You can also check on the Android Notification Bar and you should see the VBUS Service status as “Connected”.